In this episode, we have almost a full group! Breja and Jen are joined by Lanntonio (who had a whole lot to share about what he’s been up to in-game). As always, we read and responded to Tweets from listeners, and kept you up to date about things posted by Community Managers. Our question for episode 111 is: What paragon level are you now? Happy with the progress this season? You can send your response in a Tweet (@ShatteredStone) or an email. 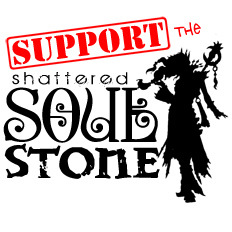 Send the email to Show@ShatteredSoulstone.com! * Season Rebirth Mail Expiring Soon! Did you use the new Season Rebirth feature? Make sure you go get your loot out of your in-game email before it disappears! * Community Manager Kauza responded to a forum post titled: Kanai’s Cube Items Disappear. The stuff that was mysteriously missing from your Kanai’s Cube might have been returned to you. * Community Manager Nevalistis responded to a Forum Post that asked about Set Dungeon Gear by pointing people toward “a pretty spiffy page about Set Dungeons” on their Game Guide. * A minor patch has fixed the problem of the Diablo III client taking an extended period of time to terminate after the game had been closed. * Writer Jason Schreier wrote a post titled: “How Not to Play Diablo III, which was rather insightful.